My busy books are a great tool for travelling and for quiet times. If you have questions about what pages to select, please feel free to send me a message and I can help you with that. I love custom made, so if you have an activity in mind, we can work it out together. The book is 100% made to order by me. Each side is considered one page. Your pages will look like the ones shown, but will always be a little different. Actual colors may differ slightly from those shown above. I try to improve my pages all the time and I’m constantly trying new and innovative ideas. The page will still be just as cute! 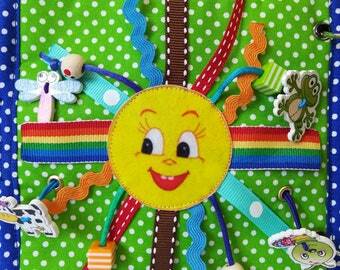 My pages are very colourful and are designed to entice children with learning activities. I have over 60 pages to choose from. The pages are spread over the various sized books so be sure to check them all out! Each page is 23cm x 23cm and the pages are bound into a book with rings. 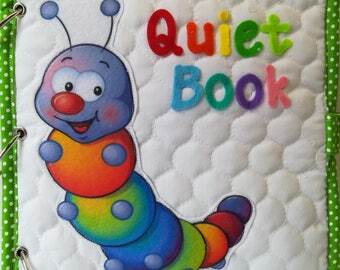 (The rings allowed you to add pages to the book in the future). Beautifully made book and super unique! Very good quality. Perfect for keeping little hands occupied. Also love that you can add pages as your child grows! 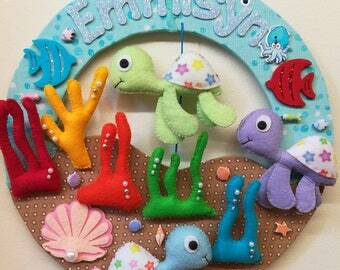 Superb workmanship, beautiful colours and themes, seller is great to work with! My child loves the book!! Payment is accepted via Paypal and direct debit (within Australia) and must be received with in 24 hours of confirmation of your order. Please make sure to follow through with the steps to paypal and make sure you get an invoice number from paypal. The email from etsy is NOT confirmation of payment. 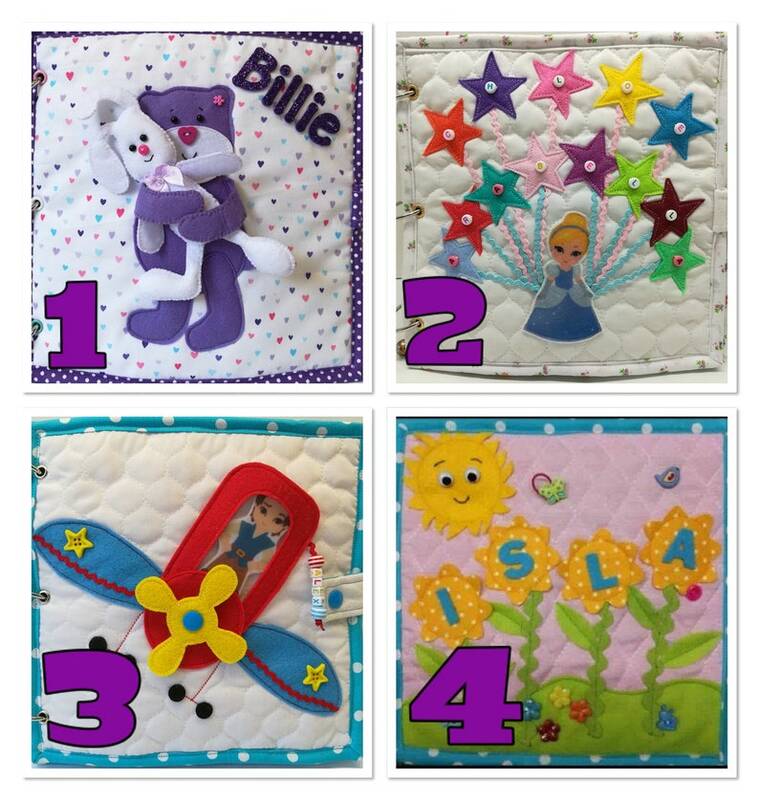 I ask for 25% deposit on custom orders upfront. I also expect FULL PAYMENT on goods before it leaves my hands. * There will be no refunds on any cancelled custom orders. * A Refund will be given on “available now" items ( if its faulty on my end and not due to rough handling by Australia Post) but only when the item has been returned to BiddyBee at the buyer’s expense. Due to the nature of my products returns are accepted on a case to case basis. If there was indeed a mistake or problem with your order on my part, please contact me right away so I can fix the problem with an exchange or return. Any items that are being returned (at your own cost) must be returned within 10 days after we have decided upon the return/exchange. Complete custom made products are non refundable as it was made to suit your decor. If you decided to cancel your custom order, all BUT 20% of the total amount will be refunded to you. All items are shipped from the Brisbane, Australia. Shipping can take 3-15 business days depending on your location. Sometimes shipping can take up to 6 weeks to reach you, which is out of my hands. Please contact me if it has been 6 weeks and you still haven't received your order and so we can proceed with another option. I am not held responsible for lost or damaged orders. Your item will not be made/shipped until your payment has cleared and contact made discussing your custom requirements. Custom made items will not be shipped until I send you photos of your completed order and I get a response from you saying you 100% happy with your order. Please contact me if you need an item rushed. This is sometimes possible if you'd like to pay for the additional shipping charge this might require. * All orders are posted using Australia Post. * I highly recommend you pay for Register Post as I only take responsibility for registered parcels. If you are an International customer, any duties and taxes will be the responsibility of the buyer. Due to the handmade nature of my work (no sewing machines, all hand stitched) my current turnaround for ALL made to order items is 3 - 5 business weeks from date of purchase. Ready now and supply orders will be shipped in 3 - 5 business days from date of purchase plus the shipping time frame. If you have ordered a custom piece and do not respond to any of my attempts to communicate with you, then your order will be made exactly like in the listings photos your purchased. My toys and dolls are made for children but I do recommend that children under the age of three years be supervised whilst handling my products. 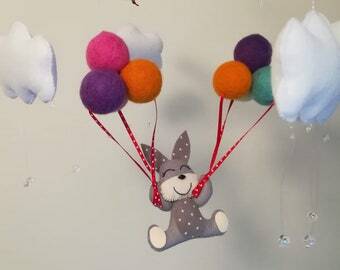 My Mobiles and Wall Hangings are for decorative purposes only and are not to be used as a toy or be played with. Please keep well away from tiny and active hands and mouths.